On Friday, February 17, a Gooni Ginebik, or traditional Ojibwe Snow Snakes Competition, was held between Cass Lake-Bena and Red Lake middle schools. The competition took place at Diamond Point Park in Bemidji and was hosted by Leech Lake Tribal College with support from Watermark Art Center and the American Indian College Fund. Roughly 40 kids participated in the event. Individual students won first, second and third place medals in four categories: precision, distance, rolling hoops and artistic merit. 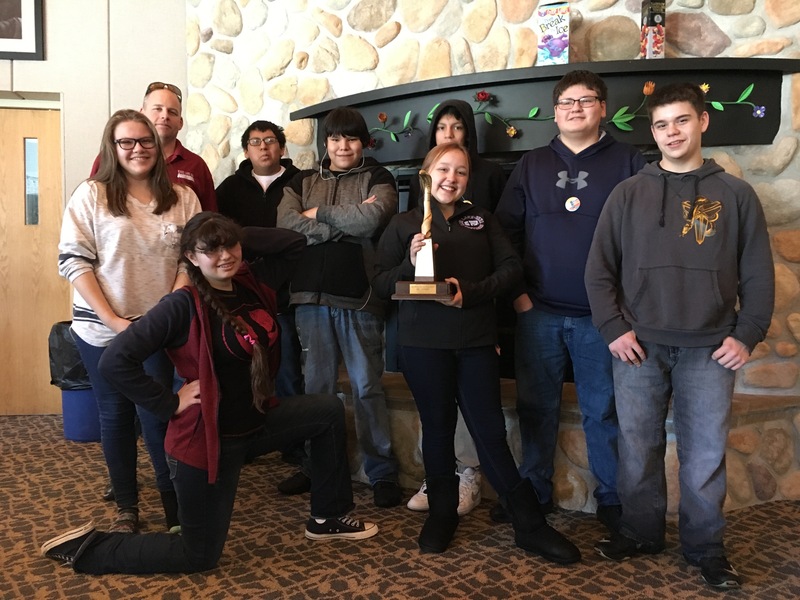 Cass Lake-Bena took home the traveling school trophy for the third consecutive year. The event was run by Shirley Nordrum who, along with her family, has been organizing Snow Snakes tournaments for the last eight years. 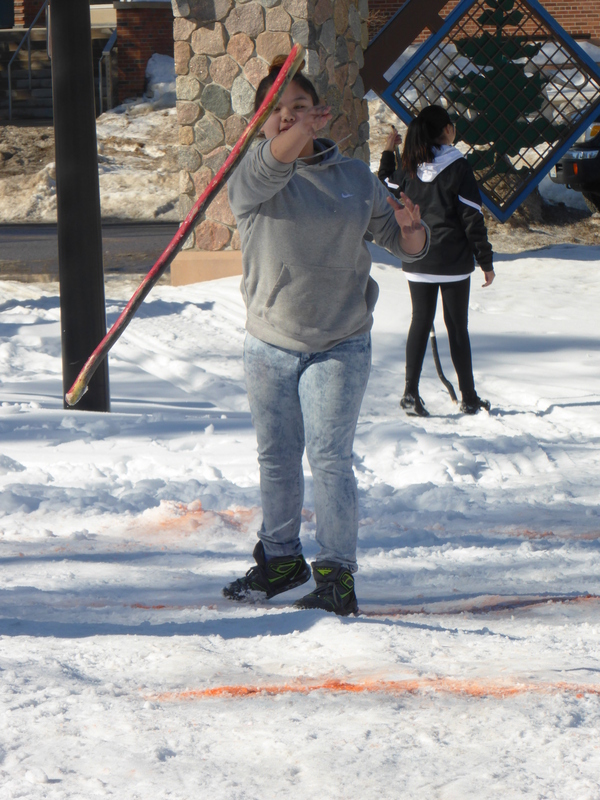 For the competition, students create a “snow snake” by harvesting hardwoods, typically two inches wide, and painting the throwing stick in fun, creative colors and symbols. The snake is glided down a snow trough or track towards a target ring. Whichever snake stops closest to the center target garners the most points. The game is centuries old and was a popular winter sport played by many Native American tribes in the Midwest. Thanks to BSU American Indian Resource Center and the City of Bemidji for accommodations.